Comfortable poolside coats to keep you warm between races. They are used by all the top international swimmers! 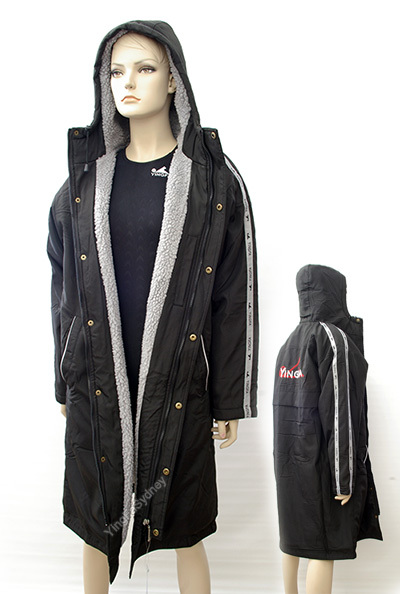 This parka is designed for aquatic athletes who demand exceptional thermal protection. 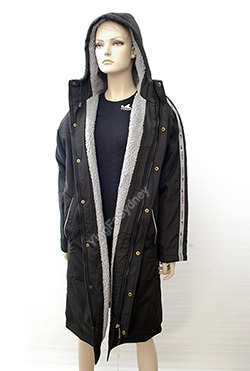 The outer shell is black and the inner fleece is a light grey. On the back between the shoulders is a large Yingfa logo embroidered on the jacket. the jacket also has a decorative tape which runs the length of the sleeve. Popular with many winter sports. Postage is a little dearer on these items as they are quite bulky. Unfortunately Express Post delivery is unavailable with jackets.